Merchants all over the world use Ecwid to sell unique, wonderful products. We’ve compiled a list of great last minute gift items to finish off your holiday shopping for your friends and family. For All Time is the cleverly named custom clock company that puts any design you like on a clock face. 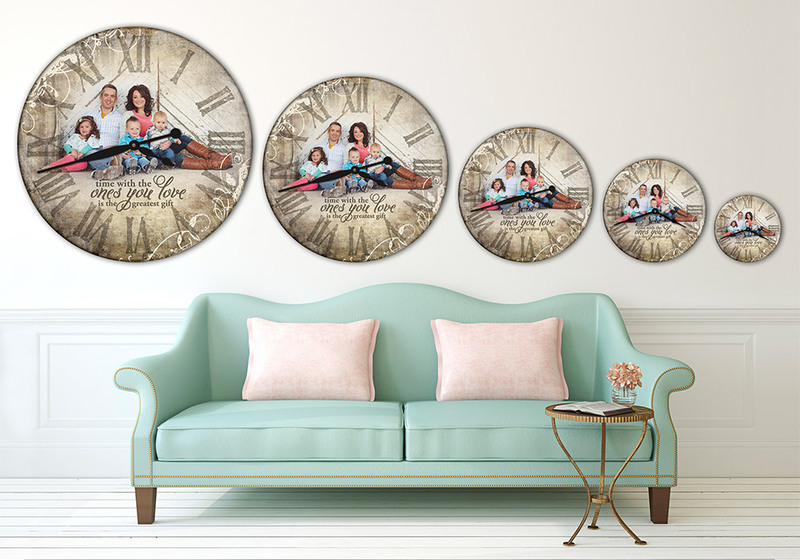 Get a picture of your family (or anything else that you like) printed onto a clock that ranges in size from one foot to three feet across. Prices vary according to size, and they run from $129 for a smaller clock to $329 for a much larger one. It makes a unique gift that won’t soon be forgotten, as the recipient will check it frequently for the time! Homebird specializes in housewares and furniture. They sell all order of couches, rugs, and accessories to spice up your home no matter the season. This holiday season, however, they have a standout offering. 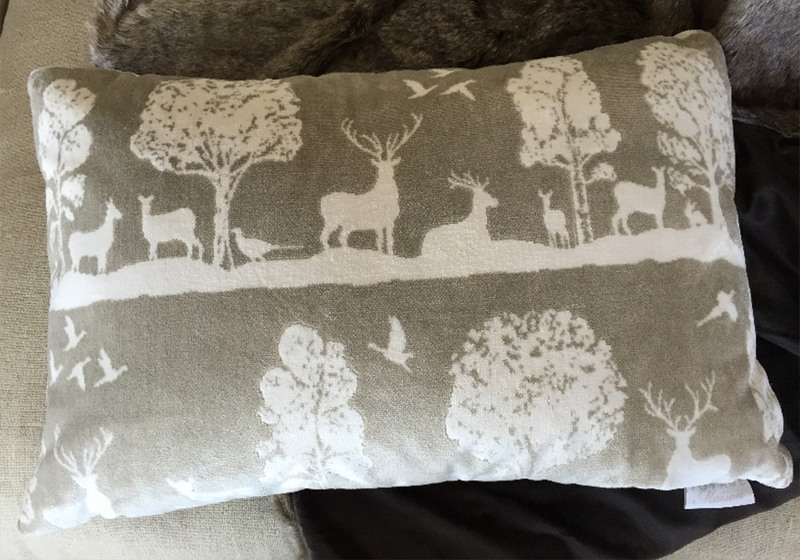 The Aviemore cushion, in its gray and white color scheme, depicts a winter scene of trees, snow, and reindeer. It makes an elegant addition to any living space by way of colors that fit nicely with almost any existing interior design. Embrace winter by putting it on display. It costs $81 USD. Shopping for someone and have no clue what to get them? Coffee is a good, safe option, just don’t get someone a tub of Folgers. Look no further than Mitchell Canyon Coffee. 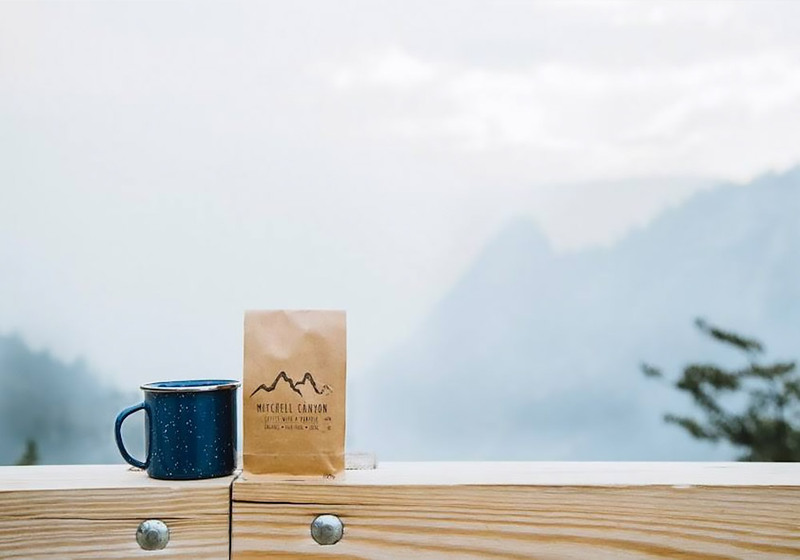 This store uses Ecwid to sell a plethora of different types of coffee and and coffee accessories, everything from traditional dark roasts to exotic blends like Burundi Kibande. They even sell coffee grinders and French presses to round out your gift! Its $35 French press is the first of its kind to use a double screen system for removing all trace of coffee grounds from your drink. Ecwid powers a shop called Elephant In My Handbag, and they sell all kinds of products for the handy craftmakers around the world. Whether you need ribbons, pom poms, buttons, or the like, they’ve got you covered. 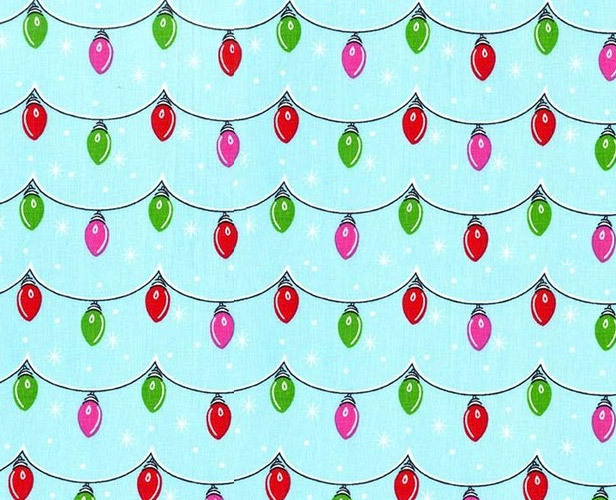 For those who want to make fun and seasonal Christmas crafts, we recommend their Christmas lights cloth pattern. It shows three colors of lights against a blue background, and can be used to make anything you like. The fabric comes in 19×21 increments for just under $4 USD. Make festive clothing, curtains, Christmas stockings, or all kinds of things. 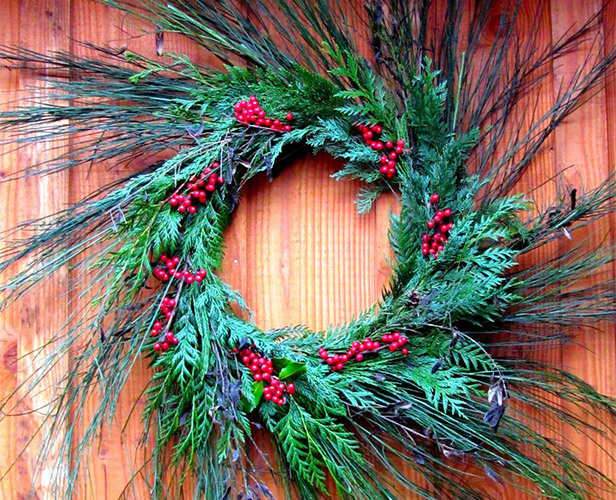 Oregon Mountain Wreaths sells a variety of wreaths, made from materials harvested from their land. Tree branches, pine, and berries all come together in various configurations that, when mounted on a front door, sends the message that this is a house where Christmas has come to stay. This Super Wild Wreath varies in size from 26 to 36 inches in diameter, and its festive look will leave a lasting impression on all who come to visit during the holiday. It costs $85 USD. The aim of art is nothing less than to express aesthetics, truth, and beauty. 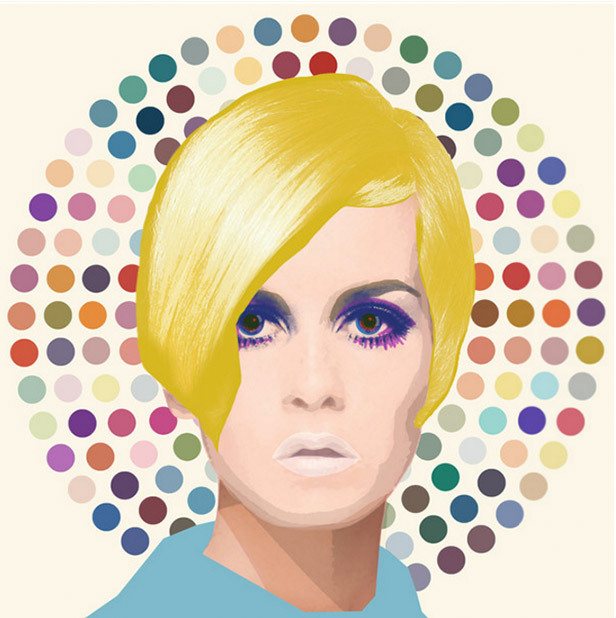 All kinds of artwork is available through BFA Gallery, and we’re especially taken with this portrait of Twiggy, the famous British model. It is done up in the well-known pop art style, calling to mind the likes of Andy Warhol and Roy Lichtenstein. But it is artist Czar Catstick that is responsible for this elegant rendering of Twig the Wonder Kid, which is available in 20-inch and 30-inch sizes. One of this limited print of just 20 can be yours for $326 USD. Nothing sets a subtle, subdued mood quite like a tasteful candle. With the lights turned down low and an ambient flicker of candlelight, you can set the tone anywhere from romantic to relaxed. 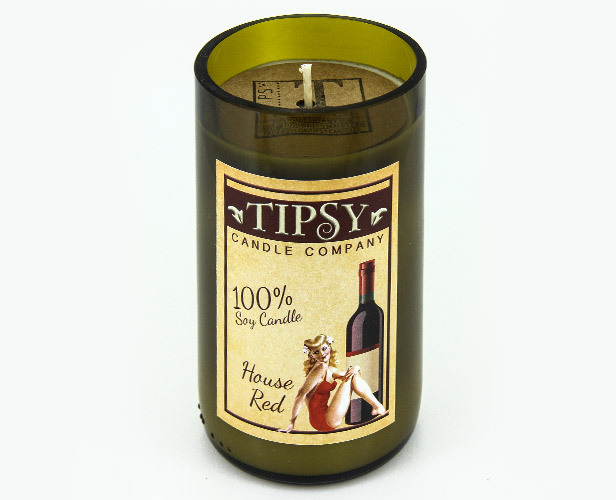 Tipsy Candle Company offers a number of scented candles to help you establish an easy vibe at home. Their red wine-scented candle is made out of 100% soy, and they call it their flagship product. The recipe is a secret, but the finished product can be yours for $25 USD. After you’ve got coffee, you need something to drink it out of. Ecwid storefront mammamiu! offers a variety of mugs for coffee and tea, each one featuring clever cat-related artwork: cats frolicking, cats high-fiving, even cats drinking coffee. This mug shows a cat examining a Christmas present and a second cat ice skating. 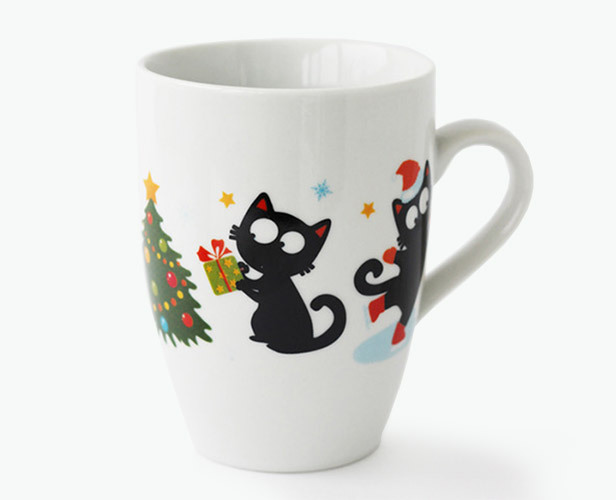 At $15 USD, It’s ideal for the cat lover or coffee lover alike, and the holiday theme makes it an especially on-point gift for this time of year. Everingham and Watson is a vendor that sells housewares, stationery, and other delightful oddities. 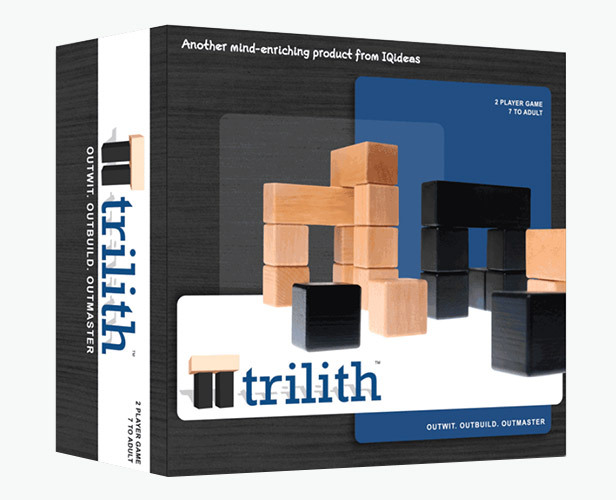 They also sell an amusing game called Trilith. It is a game for all ages that sees players stack their cubes and rectangular prisms in strategic patterns in an effort to outwit and outscore other players.. The blocks are made out of wood, so the game can be passed down for generations. And its $30 price tag represents a low price of admission that’s sure to stick around the house for years to come. Hannah Walker Jewelry uses Ecwid to sell their fine merchandise all around the world. From charms to bracelets to necklaces, there’s something here for jewelry lovers of all stripes. Suppose you’re shopping for a newborn girl and her mother. 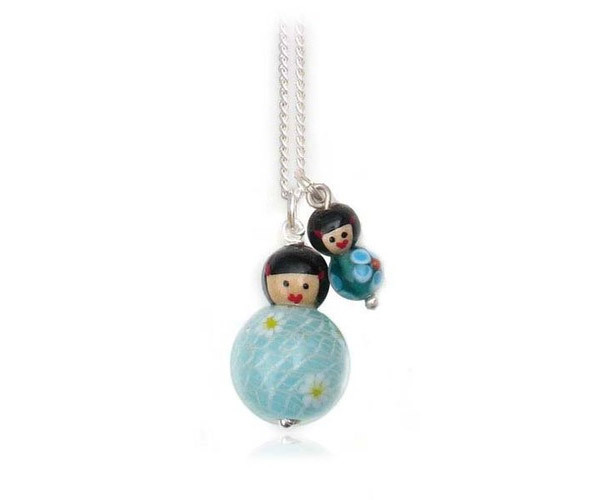 The Mama & Me pendant is a lovely piece of small jewelry, measuring just 12 mm tall—easy enough to carry around and wear always as a reminder of a mother’s love for her daughter. It costs $66 USD. You likely know the type—the guy who never seems to be at home, is constantly globetrotting, and raves about the latest and greatest tech gear. Tablets, phones, GPS units—you name it, he’s got it. For that person, get a Valkee. 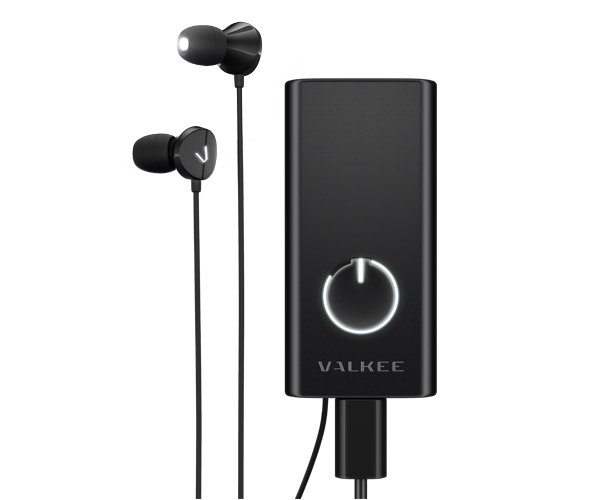 The Valkee looks like regular earbuds anyone might own, but they actually shine a specialized UV light into your ear canal, purportedly hitting light-sensitive parts of your brain. This will ostensibly reinvigorate you and wake you up, even if you’re suffering from massive amounts of jet lag. It’s a quirky gift, but it might just be perfect for the friend who has everything. We’re proud that Ecwid can help facilitate the gift-giving season, but if you wait much longer to do your shopping, you’ll be out of luck. Seize the day and get it done online!